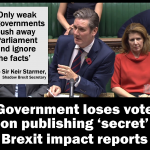 The government has commissioned 58 secret reports on the economic impact of Brexit, but has refused to make them public. The comprehensive studies have been prepared by experts into the likely effects of various Brexit terms on different sectors comprising around 90% per cent of the UK economy. 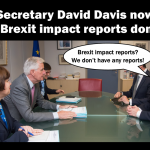 Today Prime Minister Theresa May was under mounting pressure from Parliament to release these official studies into the economic dangers of Brexit. 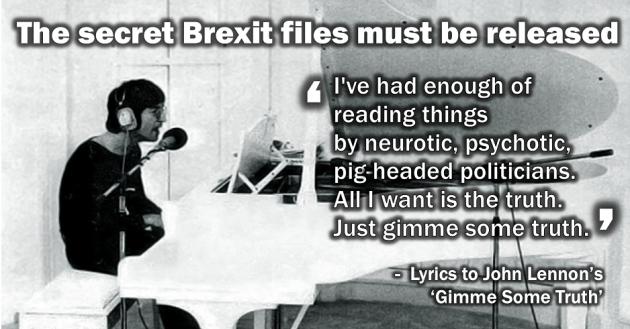 Government officials said the studies were commissioned to help negotiations with the EU on Brexit terms and they could not be published without exposing the government’s hand. But this conniving government needs exposing. At every twist and turn of this tortuous Brexit journey, the government has resisted being open, or democratic, or rational, in its handling of everything to do with our country’s departure from the European Union. It was bad enough that in last year’s referendum the Leave campaign had to use lies and mistruths to win, aided and abetted by a large section of our media that has delivered a daily deluge of reprehensible hate against the EU and migrants. It was bad enough that in last year’s referendum many, many people directly affected by the outcome were denied a vote. It was bad enough that only a minority of registered voters voted for Leave. In most countries across the world that hold referendums, such a change on such a flimsy vote could never be allowed. In fact, such a result wouldn’t have been good enough to change the constitution of UKIP or the Conservative Party, or sufficient under new Tory rules for a trade union to vote for strike action. 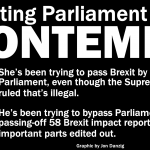 It was bad enough that Theresa May tried her utmost to pass Brexit by bypassing Parliament, using the antiquated Royal Prerogative, that the late Labour MP, Tony Benn, tried so hard in vain to get scrapped. Fortunately, thanks to the brave intervention of Gina Miller and her supporters, the High and Supreme Courts slapped down Mrs May’s undemocratic plans, ruling that they were illegal. It was bad enough that despite the Supreme Court’s ruling that Parliament must decide whether the country should leave the EU, Theresa May’s government refused to allow Parliament such a vote. Instead, the government incorrectly told Parliament that the Brexit decision had already been made by the referendum (impossible, since the referendum was advisory only and not legally binding). It was bad enough that Mrs May is carrying on with her crazy Brexit plans, despite losing her entire majority in her snap election of 8 June, and having pleaded with the nation to give her a whopping majority so she would have a mandate for her crazy plans. Britain does not want Brexit. Given another opportunity to reconsider the vote of 23 June 2016, Brexit would almost certainly be given the thumbs down. But Mrs May is not going to allow us to change our minds, even though she allowed herself to do so simply so she could move into 10 Downing Street. Brexit will touch the lives of every single one of us. 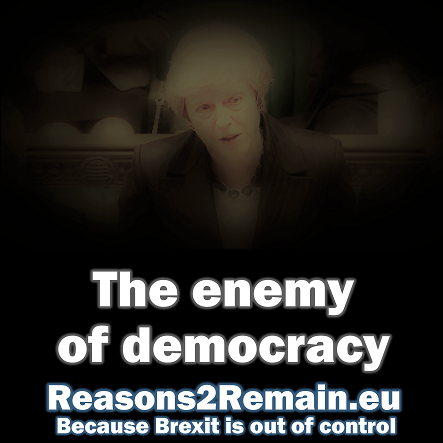 If we are going to Brexit, we cannot allow it to happen based on lies, secrecy and actions that contemptuously bypass our Parliament and us, ‘the people’, who Mrs May duplicitously pretends to represent. The government cannot continue to hide the truth from us. 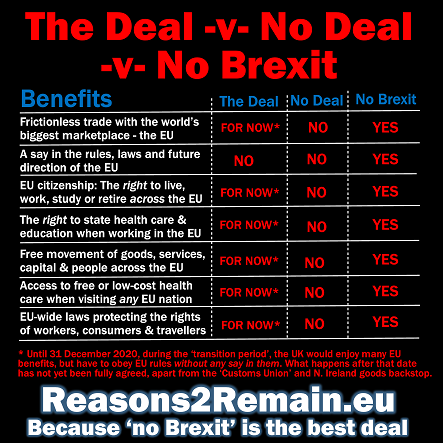 Keeping secret 58 assessments on the economic impact of Brexit has nothing to do with the negotiations taking place in Brussels, and everything to do with the government’s desperate attempts to complete our withdrawal from the EU without allowing any opportunities for Parliament or the people to object. We cannot allow decisions to be made about our future that are not subject to democratic scrutiny. It is undemocratic and unacceptable to keep the British people in the dark, especially by a government that commands no power in Parliament except with the dodgy and tenuous agreement of the tiny DUP party. Mrs May and your band of Brexit ministers, all we want is the truth. Each day you hide it from us, each day we know you are up to no good. * My article on the latest YouGov polls showing that most voters in the country now consider that the Brexit decision was wrong. This entry was posted in Current Affairs, Democracy & Citizenship, Law & Justice, Politics & Public Policy, The EU and tagged brexit, EU referendum, European Union, Gimme Some Truth, John Lennon, Theresa May. Bookmark the permalink.